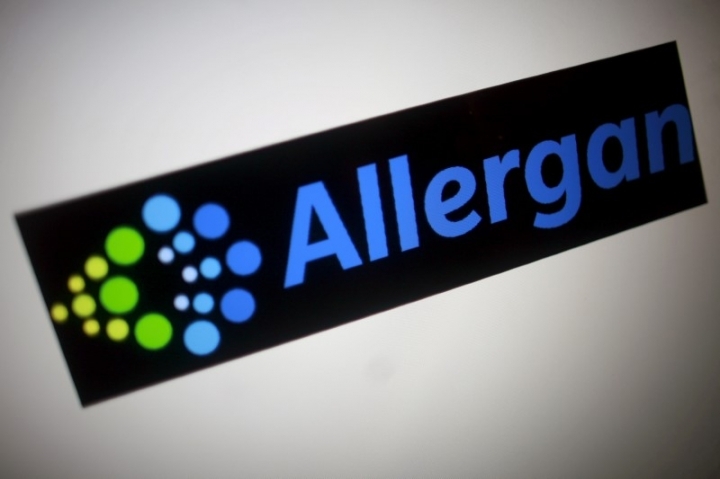 NEW YORK (Reuters) - Allergan Inc was sued on Wednesday by four large U.S. retailers that accused the drugmaker of antitrust violations for trying to stop rivals from selling generic versions of Restasis, its medication to treat dry-eye disease. Walgreen Co, Kroger Co, Albertsons Cos and HEB Grocery Co accused Allergan of illegally preserving its monopoly by obtaining illegal patents, suing rivals that challenged those patents and transferring the patents to a sovereign Native American tribe, New York's Saint Regis Mohawk Tribe, to escape scrutiny by U.S. courts. The retailers said generic Restasis would have been on the U.S. market by May 2014 but for Allergan's activities, and that the Dublin, Ireland-based company should pay triple and other damages for its anticompetitive conduct. Allergan did not immediately respond to requests for comment. The company holds patents covering various elements of Restasis that expire in 2024. On Feb. 26, the U.S. Patent Trial and Appeal Board refused to dismiss litigation by generic drugmaker Mylan NV challenging the validity of Allergan's patents. Sales of Restasis totaled $1.47 billion in 2017, accounting for about 9 percent of Allergan's $15.94 billion of overall net revenue, according to a regulatory filing. Wednesday's lawsuit was filed in the federal court in Brooklyn, New York, which oversees nationwide litigation by various pension plans, healthcare companies, Stop & Shop parent Ahold USA and others over Restasis. The cases are Walgreen Co et al v Allergan Inc, U.S. District Court, Eastern District of New York, No. 18-02907, and In re: Restasis (Cyclosporine Ophthalmic Emulsion) Antitrust Litigation in the same court, No. 18-md-02819.